Rutgers University-Newark received a A.
U.S. News & World Report's ranking of 61 out of 117 of National Universities Top Public Rankings was a major contributor to this grade. "The College of Nursing of Rutgers University, located in Newark, enrolls about 400 students. Student groups include a gospel choir. The school offers an externship program, which allows students to be paid after their "clinicals" (nursing lingo)." Describe the type of student who should not attend Rutgers University-Newark and explain why. Any Student that thinks that they are going to slacking, and not take care of their responsibilities, because one will not be able to stay at Rutgers if one dos no have a motive. Describe the type of student who should attend Rutgers University-Newark. Why? What is a typical Rutgers University-Newark student like? Describe the type of person that should attend Rutgers University-Newark. What are the top 3 reasons someone should attend Rutgers University-Newark? What was a typical Rutgers University-Newark student like in high school? Describe the type of person that should attend Rutgers University-Newark. A typical student attending Rutgers University is very open-minded and ready to try new things. They appreciate the fact that the world is extremely diverse and find it easy to embrace different cultures and customs people may have. What are the top 3 things that students do for fun at Rutgers University-Newark? Campus housing is available for undergraduates. Housing deposit : $100.00. No cars. No pets. The average student pays $10,601 for tuition, fees, and other expenses, after grants and scholarships. Total stated tuition is $10,718, in-state and on-campus, before financial aid. Learn more about financial aid at http://studentaid.rutgers.edu/. Estimate the net price for you at http://studentaid.rutgers.edu/npc/default.aspx. The typical (median) early career salary of Rutgers University-Newark graduates is $50,000, according to Payscale. Rutgers University-Newark participates in the NCAA Division III for college athletics. 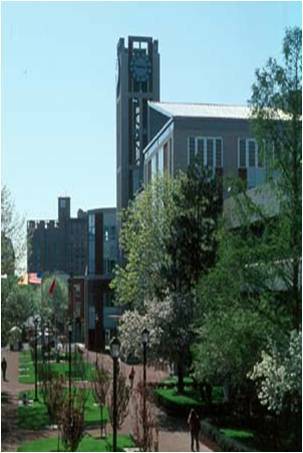 Want more info about Rutgers University-Newark? Get free advice from education experts and Noodle community members. How do I visit the school ? You can schedule a campus tour here or if you haven't got time for a visit you can also take a virtual tour here. I hope you like what you see!